On Friday July 17th, CEO of Righteous Youths Records Asha Heights released the much anticipated video for the Heights Riddim. It was shot and edited by Mario Francis of Syri Films at different locations in Kingston, Jamaica throughout the month of May. Featured in the video are Asha Heights, G’ovany, Queen Ifrica, Karamanti, Fantan Mojah, Spring Wata, Zaza Bella, Danja Fritz and Sando. According to many well respected Reggae critics, Heights Riddim is one of the better Reggae projects released in 2014. The production alone sets it apart from many other roots rhythms and having quality artists delivering relevant content gives it top rankings. Both Queen Ifrica and Fantan Mojah serves up two gripping lover’s rock tracks, while Karamanti and Spring Wata talks extensively about the beautiful island of Jamaica. The album is nicely balanced out with Asha Heights, G’ovany, Spring Wata, Zaza Bella, Danja Fritz and Sando all giving positive, uplifting messages in their respective songs. 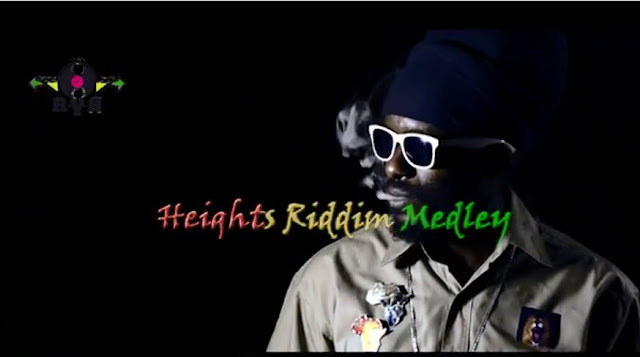 Heights Riddim is available in both roots Reggae and Dub mixes.